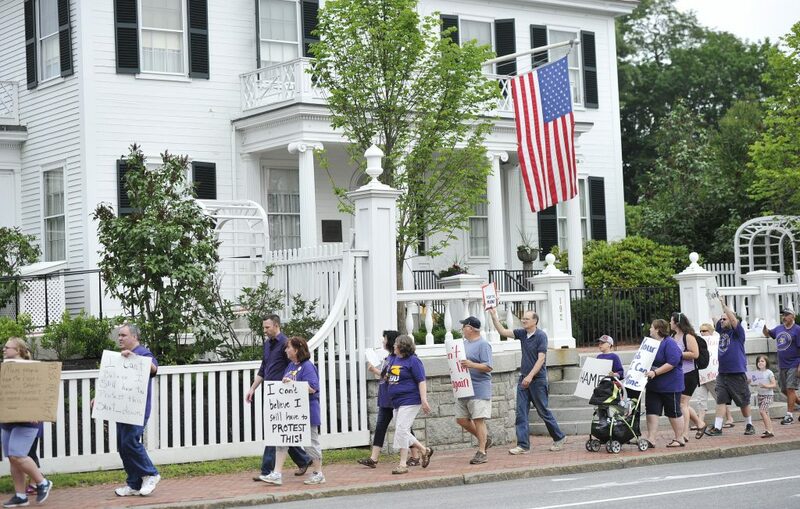 Maine State Employees Union members protest the shutdown by marching past the Blaine House in Augusta on Saturday. 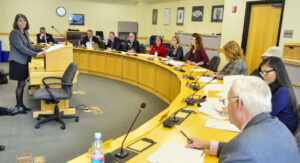 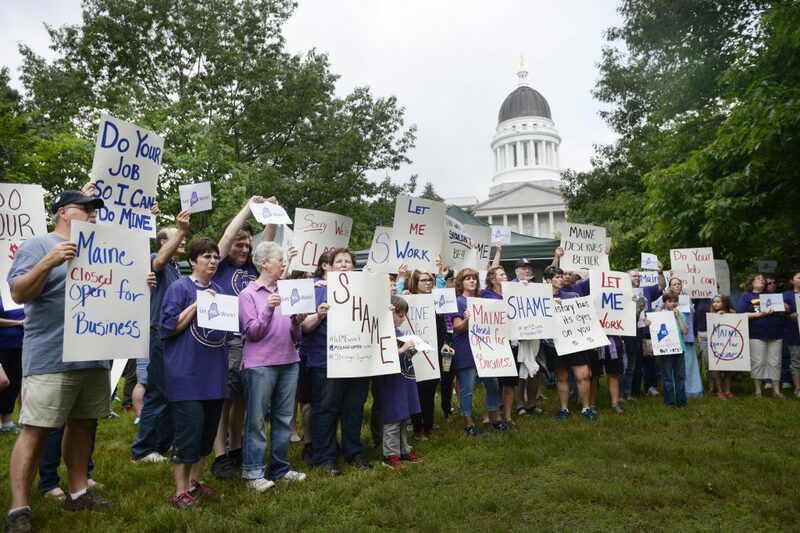 More than 150 state employees take part in the protest before the Legislature went back to work. 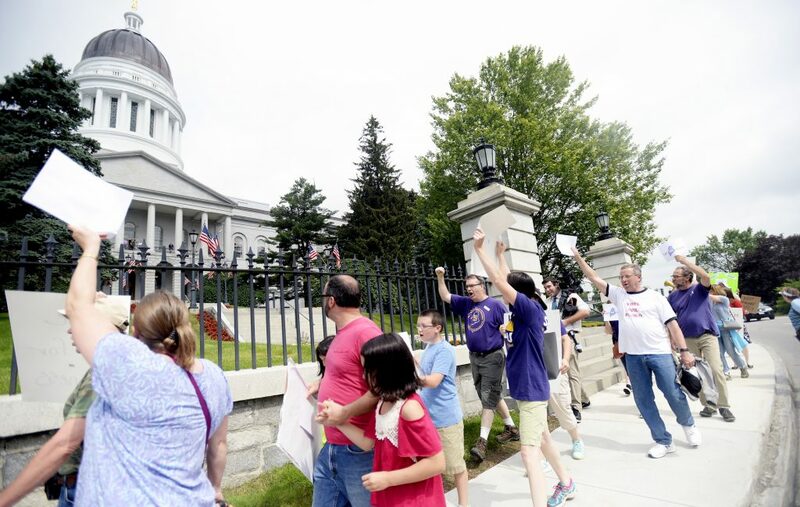 State employees march past the governor's residence Saturday morning. 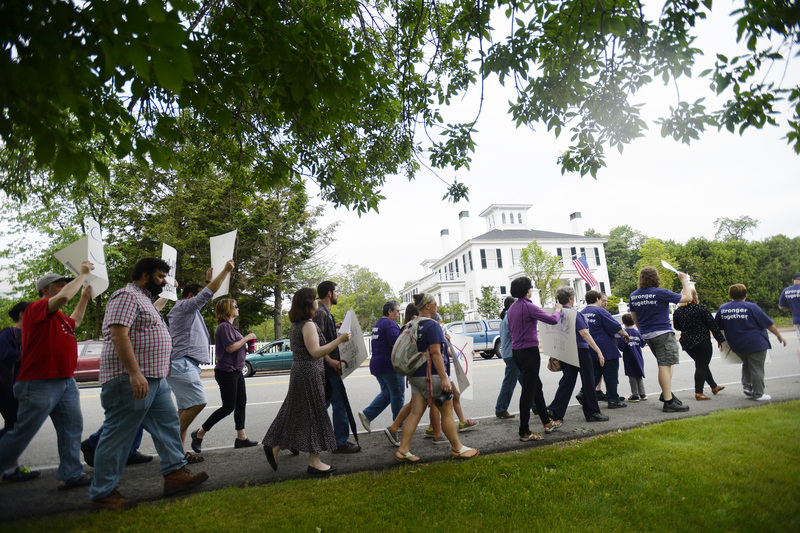 State employees chant "Shame, shame" at the governor's residence. 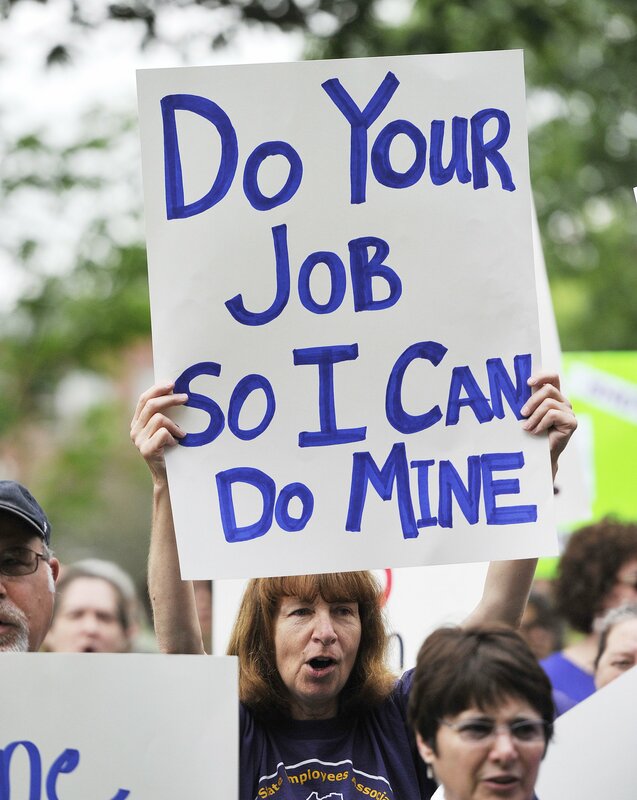 Cheryl Soucy of West Gardiner protests the shutdown at Capitol Park in Augusta on Saturday.